Margaret and I attended Introduction to Colored Pencil: Small Fruit at Brookside Gardens in Wheaton, Maryland on April 14, 2013. 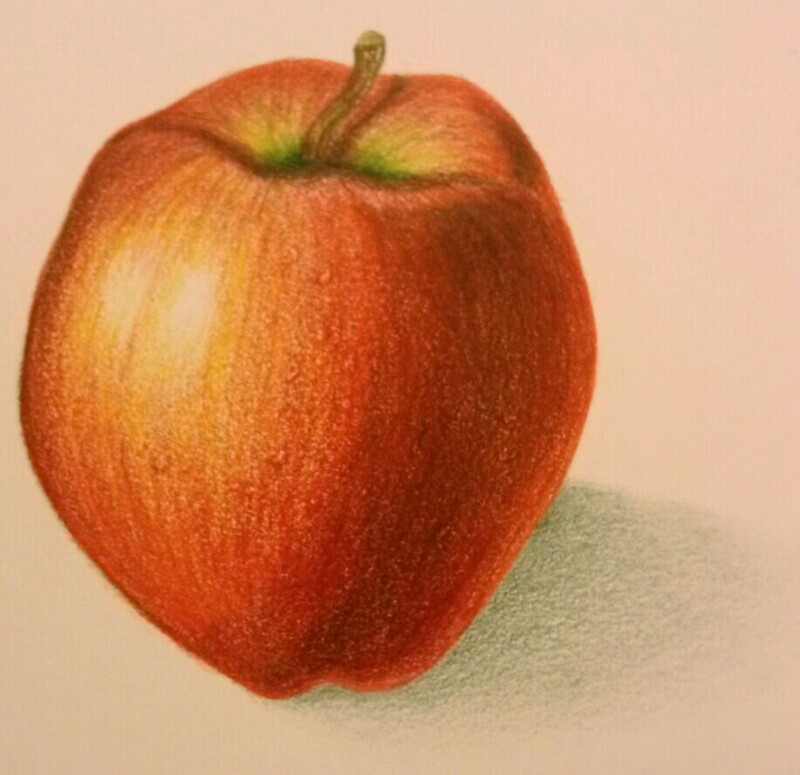 Instructor Karen Coleman taught us colored pencil techniques to produce a realistic apple. Our journey started with an apple. This apple represents the first class Margaret and I attended to prepare us for our Alaska expedition. Colored pencils are a great medium for travel they are lightweight and effective to add color to a sketch. Colored pencils are a must have for our sketching kit.